Millions of people work to enhance their brains with games and exercises for cognitive skills like memory, attention, flexibility, problem solving and processing speed (e.g., Lumosity and CogMed). While most scientific studies show that this kind of training does yield results, it’s only for the particular task or skill that is trained, and the improvements don’t transfer to skills and tasks that aren’t trained, even if they are closely related. Training for cognitive skills doesn’t create the real-life improvement you want and deserve! Games that train cognitive skills don’t go deep enough. Your brain controls every aspect of your life – physical, mental and emotional… not just your thinking, and games that train cognitive skills don’t address your whole brain. 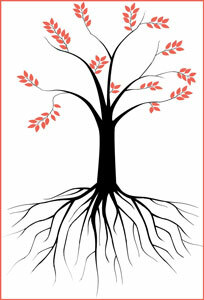 It’s like caring for the fruit on a tree and ignoring the roots that nourish the ENTIRE tree. 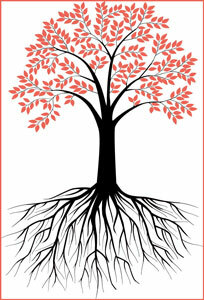 Healthy roots lead to healthy fruit and not the other way around. It doesn’t work to only water the branches and fruit! If you practice remembering a grocery list you get better at remembering a grocery list, but not where you put your keys. However, if you go to the root and help your whole brain (even if you never practice memory) you can remember grocery lists, conversations with your neighbor, tasks at work, and the word on the tip of your tongue. These bottom-up, generalized changes that help your whole brain are what really improve your quality of life. Some brain training programs (like Posit Science’s BrainHQ and Fast Forward) add sensory training along with cognitive training, but it’s still not enough; you’ll understand why below when you read about BrainTime’s patent-pending technology. Holosync, Hemisync and other programs use binaural and/or isochronic beats to enhance relaxation, meditation and creativity. Binaural and isochronic beats are listening programs that require headphones, but the technology and results are vastly different than BrainTime. BrainTime is practiced for five minutes twice a day, while Holosync is practiced for one hour a day. BrainTime increases your capacity to learn and grow in a way that binaural and isochronic beats can not (see section below How BrainTime works). BrainTime offers faster, more wide-ranging physical, mental, and emotional results than binaural and isochronic programs. There’s something more important that cognitive, sensory-training, binaural and isochronic programs don’t address. Neuroscientists have made fascinating discoveries about the fundamental workings of your brain. The messages in your brain are precisely timed – or they don’t work. Your brain relies on a fundamental time code to conduct its business. We took the code, developed it for 20 years in a clinical setting, and we’re making it available as a proven, patent-pending, easy-to-use process that takes just minutes a day. All communication in the brain is timing-dependent. BrainTime enhances plasticity, the brain’s ability to grow and change. It improves the brain’s ability to regulate communication from one area to another on an as-needed basis. Communication between different parts of the brain is dependent on both physical and functional connections between neurons. Physical connections are only part of the process; neurons need to synchronize their ongoing oscillations for effective communication so they are “on” at the same time, ready to send and receive a message. Physical and functional connectivity can be explained like this: a telephone line creates the physical connection between two phones, but both phones need to be off the hook at the same time in order to establish a functional connection and have a conversation. By using our brains in different ways we build particular sets of connections, a phenomenon known as “experience dependent plasticity.” Which connections are active depends on the task at hand. It is possible to train and improve this functionality. BrainTime uses precisely timed audio stimuli that challenge the brain to modify its ongoing oscillatory rhythms. BrainTime’s stimuli is delivered in proven time intervals that are resonant with ongoing oscillatory cycles in human brains. When the brain attempts to enhance its perception of these stimuli, as they speed up or slow down, it is challenged to modify its ongoing oscillations. TIMING IS EVERYTHING, and that’s why BrainTime works; it is like fertilizer for your brain. Because it works on such a fundamental level it offers faster, more wide-ranging physical, mental and emotional results than other programs. You listen to precisely timed sound signals that help EVERY PART of your brain work better – when your brain works better you function better on every level. You just need an Internet connection and a set of headphones, nothing fancy; but the headphones need to have stereo separation and need to be aligned with the proper left ear / right ear when worn. 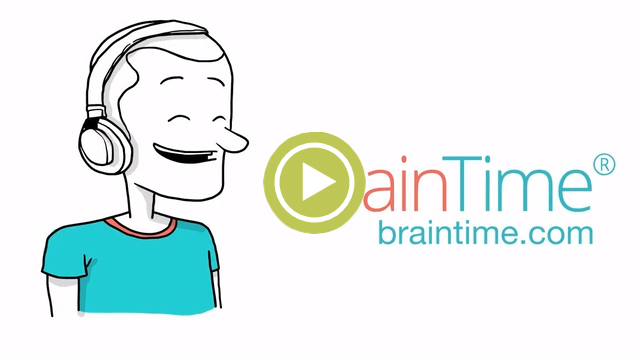 Join the BrainTime revolution and Build A Better Brain!